Hyde Park Gardens in London is a very much sought after location for your home. The area consists of two roads which run adjacent to the north-west corner of Hyde Park. Numbers one to 23 run along one street, with a large private communal garden, while numbers 24 to 31 continue on a private gated road also with their own communal gardens. These properties are considered some of the most exclusive on the northern side of Hyde Park, and date back to the early 19th century. The garden was originally planned with fountains and hidden walkways, and was described by the press at the time as ‘a first rate garden’. The current layout very closely matches the original design and some of the old trees even last until just five years ago. The management of the garden was taken over by the residents 15 years ago and has frequently won the award for the best large private garden in London. The woodland path along the rear of the garden naturally encourages a variety of birds, while the front hosts beautiful paths and arches that lead to the woodland beyond. The Garden contains many old and rare plants and trees, as well as a wide variety of birds, insects and small mammals, which have made their homes in the garden. In order to increase their number and range, logs are left to rot. This should hopefully help to create a larger wildlife area within the garden. The grand white stucco-fronted houses have now been converted into grand apartments, with the likes of Keira Knightley and overseas royalty such as Queen Noor of Jordan keeping flats in this area. The three roads which border the garden are Bayswater Road, Brook Street and Clarendon Place. The garden entrance for residents is on Clarendon Place and there is also a separate entrance on Brook Street, which is used by the gardeners. It can also be opened for contractors, but this is by appointment only. There are plenty things to keep visitors entertained in Bayswater. In order to maintain the beauty of Hyde Park Gardens, some rules have been put in place. The garden is for the use of residents only and the fob key to gain access comes at a cost of £20. Residents should never give this fob key to contractors or non-residents. Any non-residents should be accompanied by a resident at all times. The double gate at Brook Street is for use by garden associates and contract gardeners only. The gardeners are employed to care for and maintain the gardens, and are in attendance every week. All access of contractors into the garden will be controlled by Westbourne Block Management, the garden managing agent, who will be responsible for granting them access, monitoring their behaviour and ensuring their adherence to the garden rules. Only dogs of residents are allowed in the garden on a regular basis. They must always be accompanied by their owner and under control or on a lead. Any mess is to be picked up at once by the owners and put in the bins provided for this purpose. Should owners ignore this, the committee reserves the right to bill the owners with the gardeners’ charge for cleaning the mess, or to delete their fob key. The gardens are an ideal area for children, as they are secure and contain stunning woodland paths. However, due to the rare plants that are kept within the garden, ball games and the climbing of trees are prohibited. In addition, after using the garden, all litter, toys, paddling pools and bikes must be removed. This includes larger items such as bouncy castles. If residents wish to use the communal garden for a private party then they must gain permission from the committee. Permission will be granted on the basis that the event planned is reasonable and private – it can not be a corporate event. Immediate neighbours must be in agreement with the party and it must end by 11pm at the latest. Security and insurance for parties are the responsibility of the resident and all gates must be attended or closed at all times. There is to be no damage to the lawn or plants and the area which has been used must be left clean and free of any litter. Hyde Park Gardens is a delightful area for your home, which is made even better by the beauty that surrounds it. As such, properties in this location drive a high cost to purchase. In a very much sought-after location within London, the stunning area is perfectly placed for life in the capital. 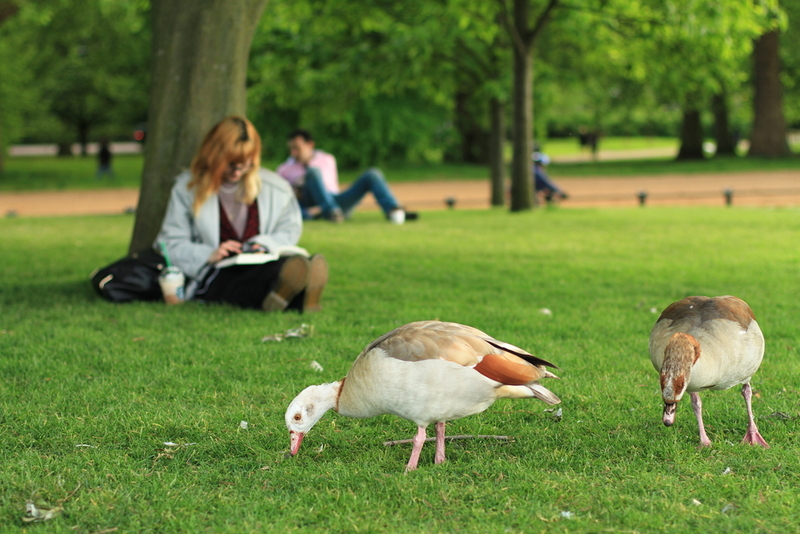 Share the post "Things to know about Hyde Park Gardens"
This entry was posted in London Attraction and tagged hyde park London. Bookmark the permalink.